Dewey Army Knife. Made in Australia. Supplied in limited quantities to the Australian Military in about 1990. I have no information on the units they were issued to. No Military markings. Any information on the issue and fate of these knives would be greatly appreciated. Please and let me know. A handmade knife made in Australia. Overall length 9 3/4 inches. Blade length 4 3/4 inches. Steel - 3/16 inch (4.5 mm) thickness D2 Hardened and tempered to 54-56 Rhc. 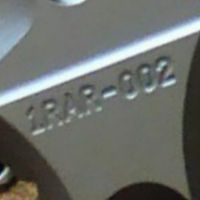 The knife design incorporates a finger guard. The scales are made from Australian hardwoods. The Dewey mark is formed via a stencil using an electro chemical etching machine. The sheath is leather with a press stud closure. As the knives are hand made, small differences can occur between finished products. Recently, a new, small and highly innovative Australian manufacturer by the name of Zu Bladeworx has come on the scene. They specialise in small runs of very robust blade ware. Several of their designs have found their way to Australian and Allied servicemen by way of private purchase. All of their products are made from German A2 tool steel and are Ceracoted in either Sniper Grey or Burnished Bronze. They are serial numbered but carry no military markings. 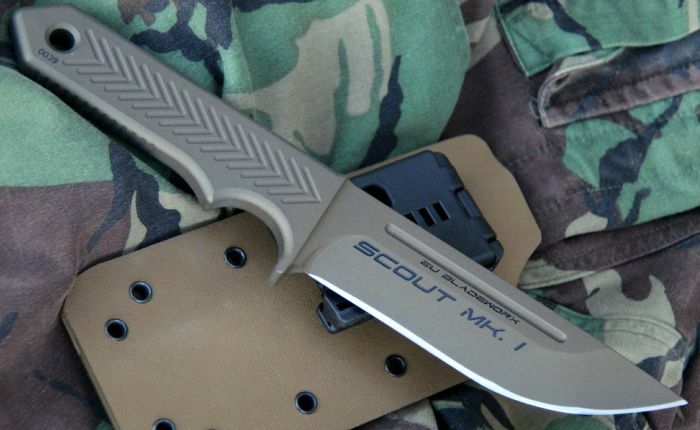 Each knife comes with a Kydex sheath. Zu Bladeworx are in the process of supplying a new design, the Nomad Mk2 for user trials with the Australian Army, which are being conducted by 1RAR. 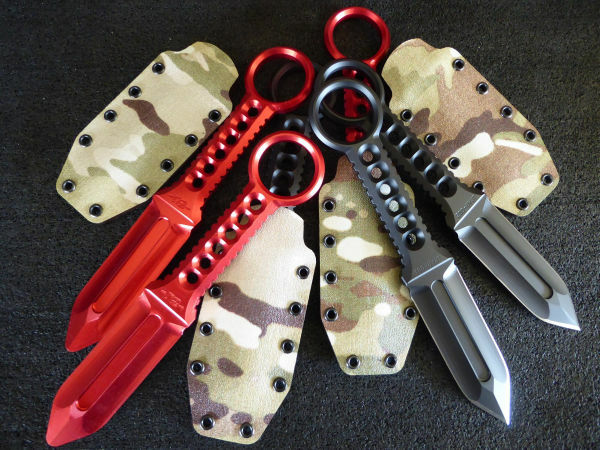 This consists of metal live blades Ceracoated black and 6061 Aluminium trainers anodised red. 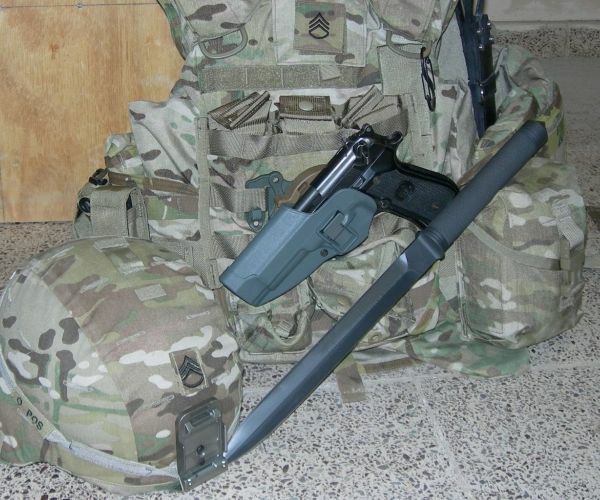 The knife comes with a specially designed Kydex sheath. Each knife is individually serial numbered.